Today we end Stamp Highlights with Balloon Letters and Balloon Et Cetera. When we designed our Anniversary Party Flyer with the number and animal balloons, we knew right away that it needed to be a stamp set so we can share the fun! I truly had a blast personalizing my cards with these two sets! 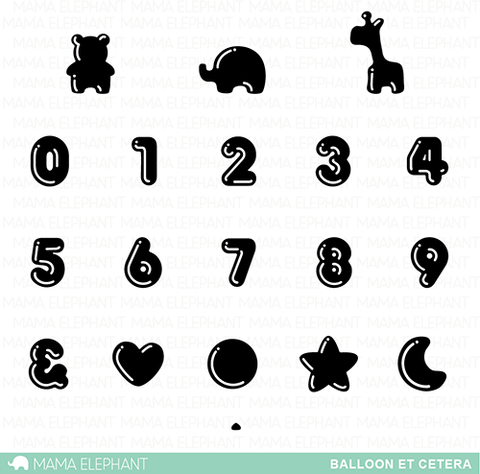 Ashley created a balloon bunch with the fun animals from Balloon Et Cetera. 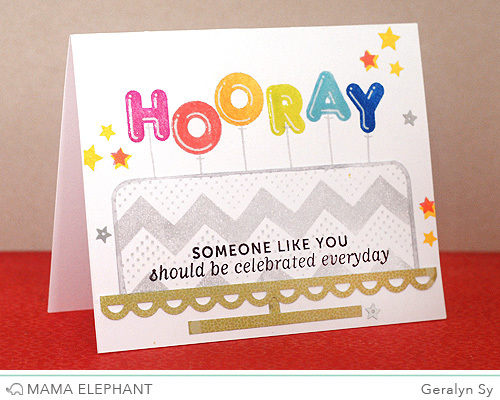 We love how they are anchored to the hello die and how she customized the sentiment with a stamp from Cross My Heart! These pandas are flying through the air with sweet message! 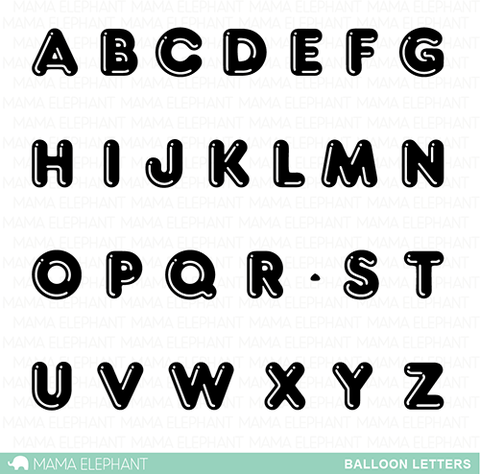 The letters from Balloon Letters pair perfectly with the heart shape from Balloon Et Cetera! Nichol created a one layer scene card by stamping balloons from both the Balloon Letters and Balloon Etc. 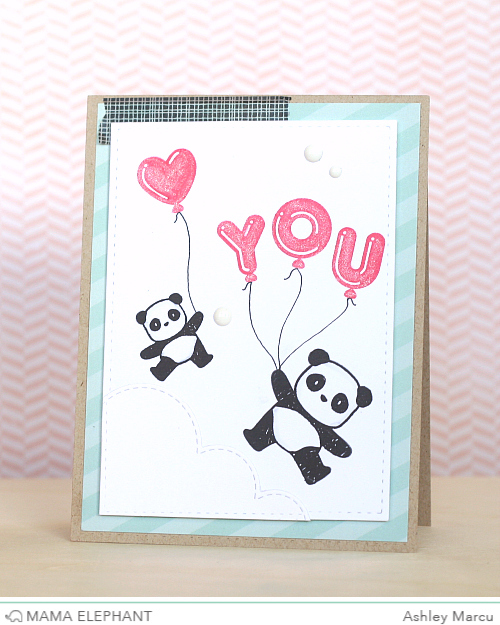 stamp sets and pairing them with a sweet panda from Pandamonium. She gave the scene dimension with some simple coloring creating clouds and a landscape with Copic markers. 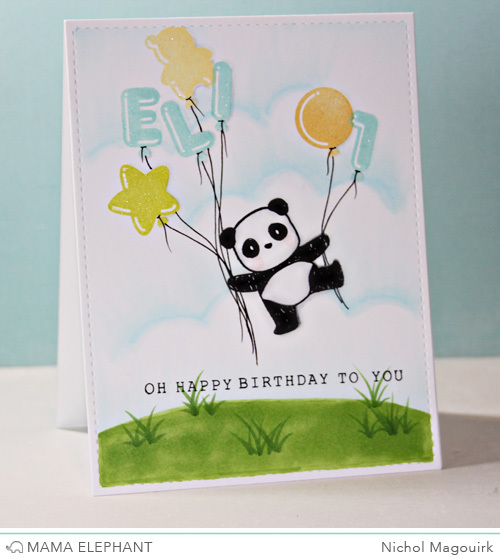 Elena created this beautiful baby tag, highlighting the animal-shaped balloons by clustering them in a bunch and cutting them out. We love how she added shading to the solid images! Elena also created a cute airmail scene by pairing the new heart-shaped balloon with the envelope from Pandamonium and the twirly trail from No Peeking. 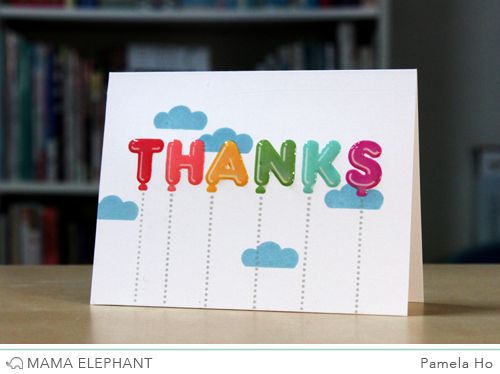 We love the glossy balloon and the use of the cloud border! Elena made such a cute card! We love the Alpine Carolers holding bright red, glossy balloon! This card definitely makes us feel merry! Geralyn's giant cake she created with Modern Borders is perfect for the 'Hooray' cake topper she stamped with Balloon Letters! We love how she added glossy accents on top of each letter to really let them shine. 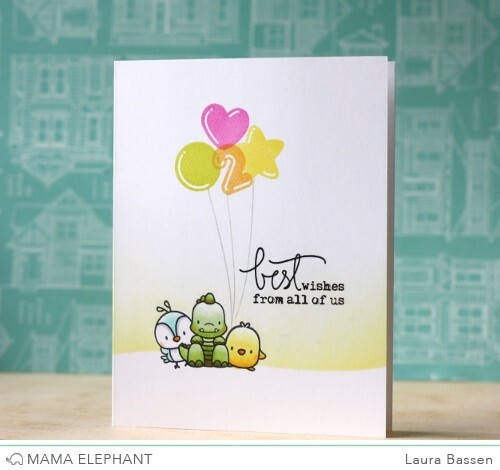 Laura combined the Just Hatched & Everyday Greetings stamp sets with Balloon Et Cetera to create this adorable 2nd birthday card. How fun is this little polaroid frame? 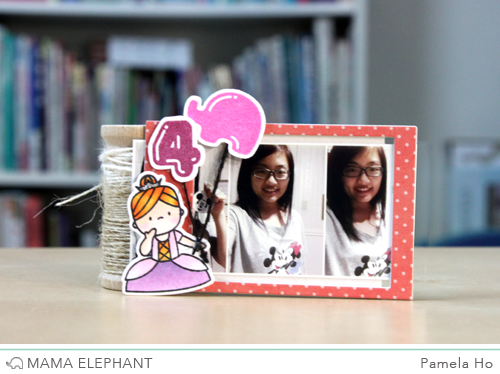 Pamela decorated the frame using the little princess from Bootastic and the adorable balloons from Balloon Et Cetera! 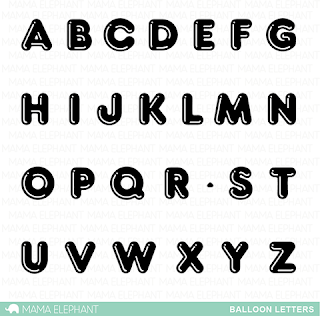 The balloon letters are perfect for simple sentiments! Pamela stamped the letters with the new Mama Elephant inks and embellished it with the cloud from Around We Go and the string from Peace on Earth. Thank you all for joining us for a week of inspiration! OMG what a cute cards, this letters stamp is so versatile and sweet. Great for all year round projects! I'm usually not one for cutie cards, but I am loving every one of these! So adorable! These are such fun stamps. A party ready to happen when you use them on a card. These are all just too adorable!! Loving these two stamp sets! These balloons are so fun :) love the way they look :))) All the cards are so-so cute!!! Everyone's creations are absolutely amazing!! I love all of the DT projects! They are all fabulous! Love the Balloon stamp set, it's so versatile! Definitely a must have!! This release is to really die for! Loving all the gorgeous inspiration by the design team! Such amazing creations. Both of these stamp sets are on my wish list! WoW this has been a week with awesome creations so much inspiration, thanks for everything. Gosh, these are so stinking cute!! And you have such talented designers! Those panda cards are adorable! Oh My Alpha Balloon Goodness!!! Too Cute!